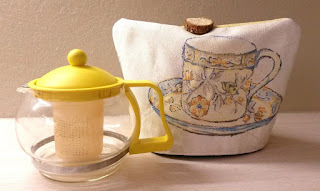 I just love my herbal teas, I’m always going out into the garden, picking fresh herbs, such as mint and ginger and brewing myself a cup of delicious tea. 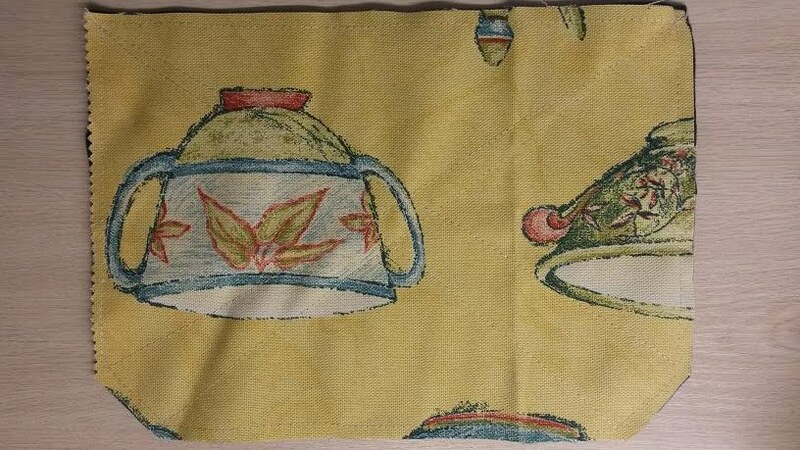 My biggest downfall though is that I often forget about my pot of freshly brewed tea, and before I know I have an ice cold pot of tea waiting for me. Which is what has inspired me to create the last two sewing tutorials for this set of cosies. They are also running in line with our August Sewing challenge, feel free to create your very own and share them with is on twitter @MySewingPattern. 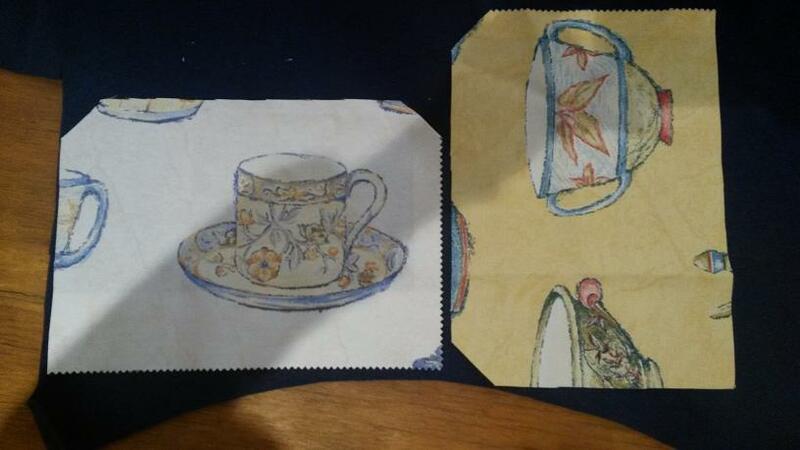 For more information on our sewing challenge click here. This patterns is so quick and easy, you can make a couple of them in time for a romantic weekend away (why not use our ladies thong pattern and sew a gorgeous matching set). Half of the romance is feeling confident and looking good, and this cute little negligee can help you to achieve just that. 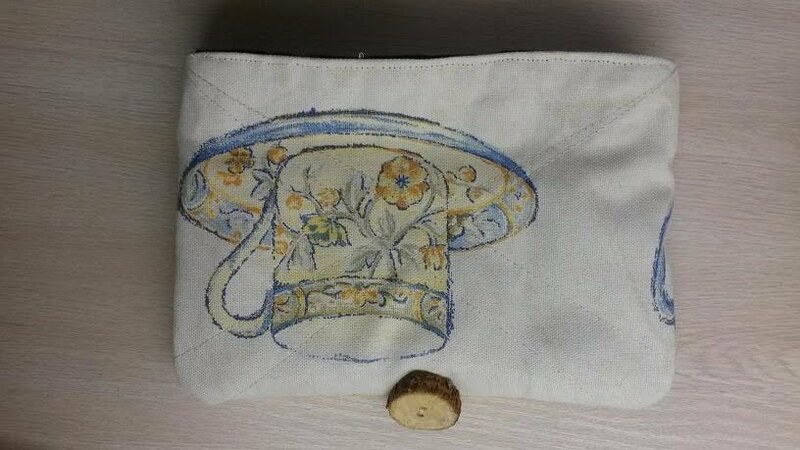 I just love this cute little needle case from the Etsy storeFantooshBySonia. 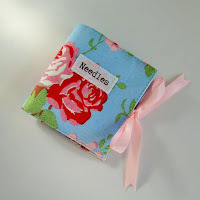 A pretty little handmade vintage style fabric needle case, perfect for storing sewing needles. 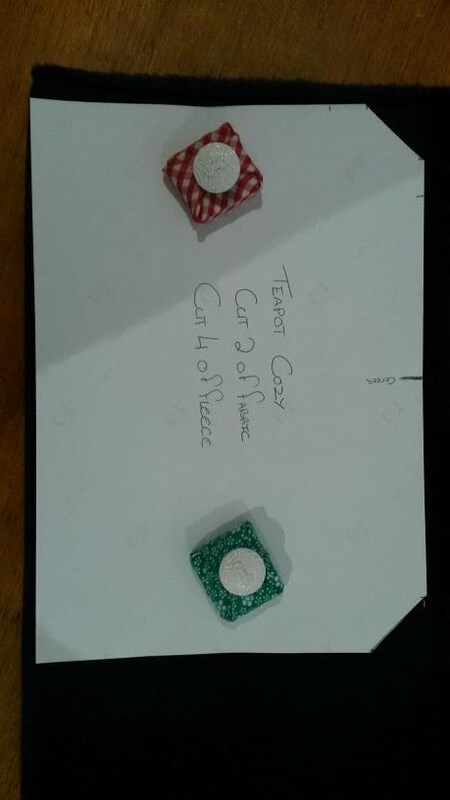 This would make an ideal gift for a crafting friend or loved one, or even as a treat for yourself. Inspired by last week’s tea-cup cosy, this week we figured that we would give you the tutorial to make the matching teapot cosy. 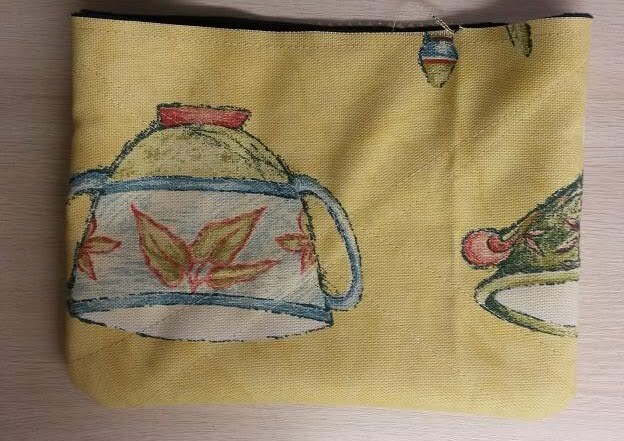 This cosy is for a small teapot (1-2 cup size), that doesn’t have a spout. 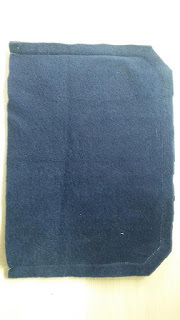 Fabric the width of 25cm / 10” by 115cm / 45” or 150cm / 60” length of fabric. 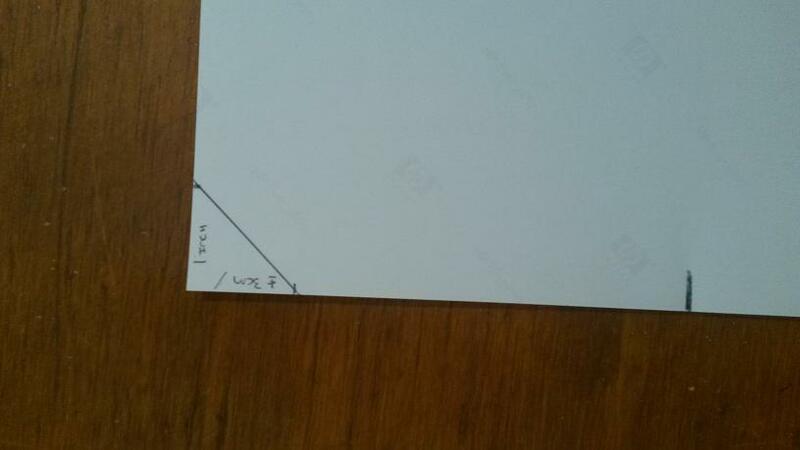 Step 1: On your sheet of cardboard at the top two corners, from each corner, down and across, mark a length of 3 cm / 1”. 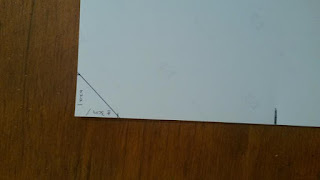 Using these markings draw a line, joining them and along this line cut off the corners. Find the centre point of your page and make a marking, this will be the pattern marking that indicates where you will attach your decorative button. 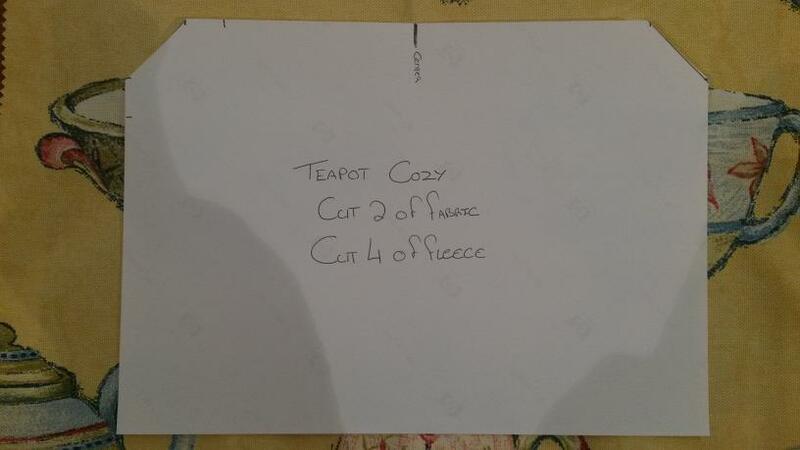 You have now created your basic pattern for your teapot cosy. 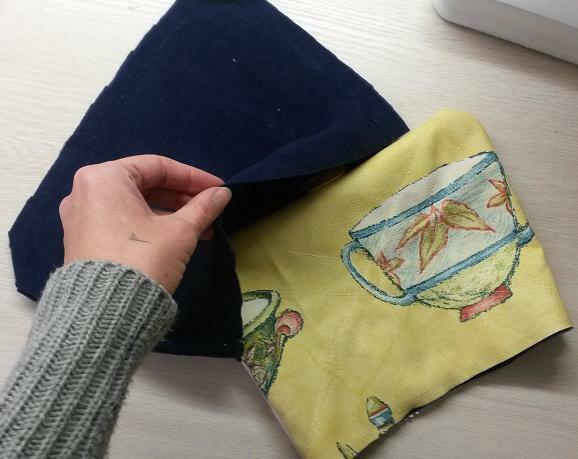 Step 2: Using your newly made pattern piece, cut 2 pieces of fabric. Step 3: Using your two cut sections of fabric, with wrong sides facing down, use the sections of fabric to cut out 2 sections of fleece. 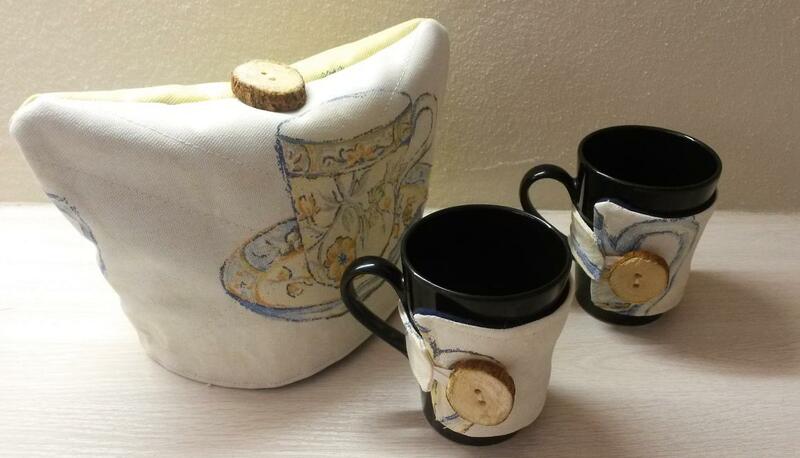 This will act as your backing, to give your cosy the extra padding it needs to help keep your tea nice and hot. Attach the fleece to the fabric section by basting around the edges. 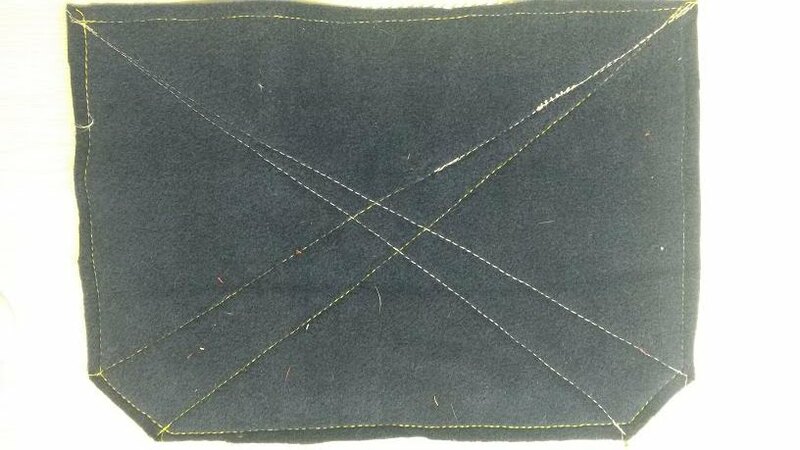 Step 4: From the top corners, down the bottom corners sew a top stitch. This acts as a decorative quilting and also prevents the fleece backing from moving unnecessarily. Join these two fabric sections together, right sides facing, by sewing along the top and side seams. Turn the right way out. 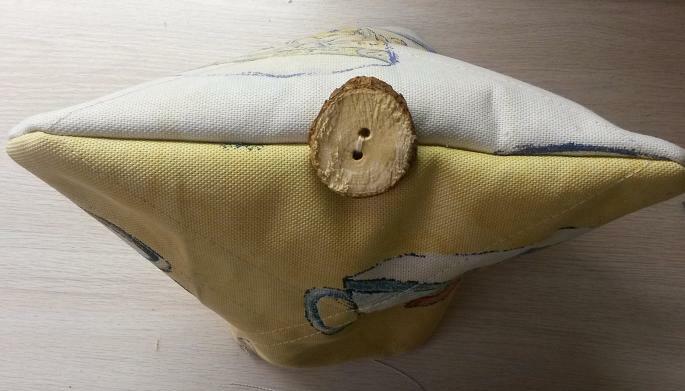 Attach your decorative button to the right side of the fabric, as the previously marked center of the top seam. Step 5: Use your pattern to cut out two more sections of fleece. 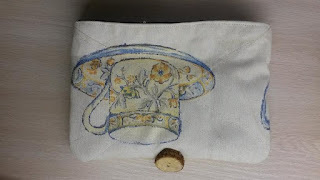 With right sides facing, sew along the top and side sections, joining the two pattern piece together. Step 6: Insert the fabric section of the teapot cosy into the fleece lining, with right sides of fabric facing, until the bottom seam lines match up. Join the lining to the fabric by sewing along the bottom seam, leaving open a space of about 5cm / 2” where you can pull the cosy through so that it is right way out. Step 7: Once you have turn the teapot cosy the right way out, push the fleece lining into the cosy, and top stitch along the bottom seam, closing the opening and finishing off your teapot cosy. You’re teapot cosy is now ready to use, enjoy!